It's been so wet the last few days - and someone said "it never rains in Southern California" - leaks in my apartment and water everywhere. I may as well be a mermaid. 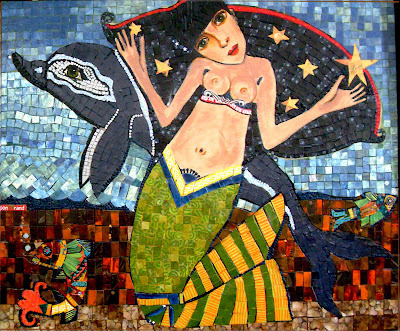 Mermaid is a paper mosaic, 20 x 24 on wood panel, and available. Email me for more info.